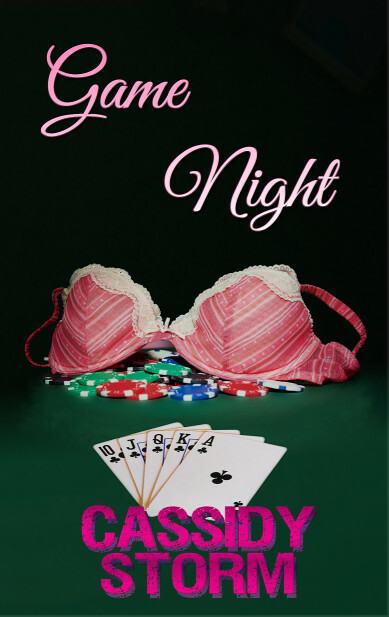 Game Night is a fun and flirty #lesfic romance, centered around the main character Alyssa. She has a crush on Mia, a professional acquaintance. When Alyssa finally works up the courage to break the ice, Mia invites her to a "game night" get-together with a few other girlfriends. Her crush, however, conveniently fails to mention that the "game" in question will be an anything-goes evening of strip poker. As the game goes on, Alyssa realizes that some of her raunchy fantasies about Mia just might come true -- although, perhaps not in exactly the same way as she imagined! Game Night will be available on Valentines Day 2019, Pre-Order Here!